The SW6100 accommodates 8 people, which provides a pleasant, restful environment, ideal for construction, rail and highways contractors. Once lifted into position, it provides a vandal resistant facility and offers cost savings as the hot water and heating is supplied by an on board system which does not require the generator to run. The generator will only be required for microwave and kettle. The SW6100 comes with a standard recirculating toilet, with the option of a full flush toilet with ceramic basin. 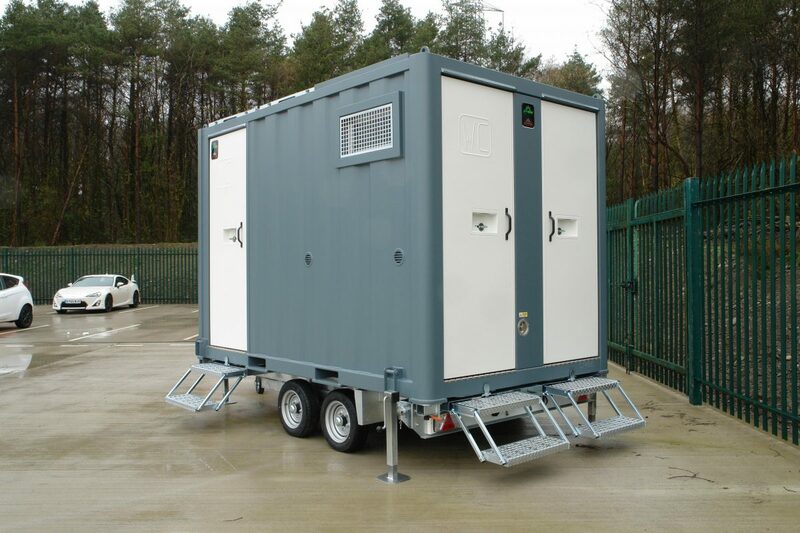 The Fusion Static units from Groundhog are suitable for accommodating eight persons, which provides pleasant and safe working environments, ideal for rental companies and contractors. A standard kettle and microwave, with easy to operate functions. The two appliances can only be operated when the generator is running. Seating manufactured from, formed steel panels which are finished in a heavy-duty powder coating, with comfortable foam filled fixed cushions to both seat base and back rest. 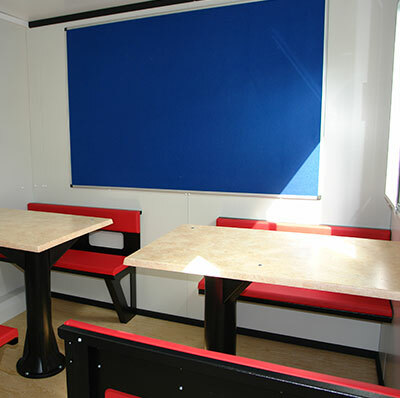 The units are suitable for accommodating 8 people, which provides pleasant and safe working environments, ideal for rental companies and contractors. The Fusion Static units from Groundhog offers the legendary robust and ease of use of the standard Groundhog SW6100 whilst offering a green environmental solution. The SW6100 Fusion is powered by an on board 12V battery enabling, the led lights, heating, hot water and inverter sockets (to charge lap tops, mobile phones and small printer) to be run without the need of the on board generator. The generator is only required to charge the onboard battery and run the hot water, kettle and microwave. The generator is fitted with an auto stop timer to save over running and unnecessary wastage. SW6100 Fusion control panel with battery indicator allows the user to control the heater temperature. Included is an inverter powered single socket.